Chinchero is a small Andean Indian village located high up on the windswept plains of Anta at 3765m about 30km from Cusco. There are beautiful views overlooking the Sacred Valley of the Incas, with the Cordillera Vilcabamba and the snow-capped peak of Salkantay dominating the western horizon. Chinchero is believed to be the mythical birthplace of the rainbow. 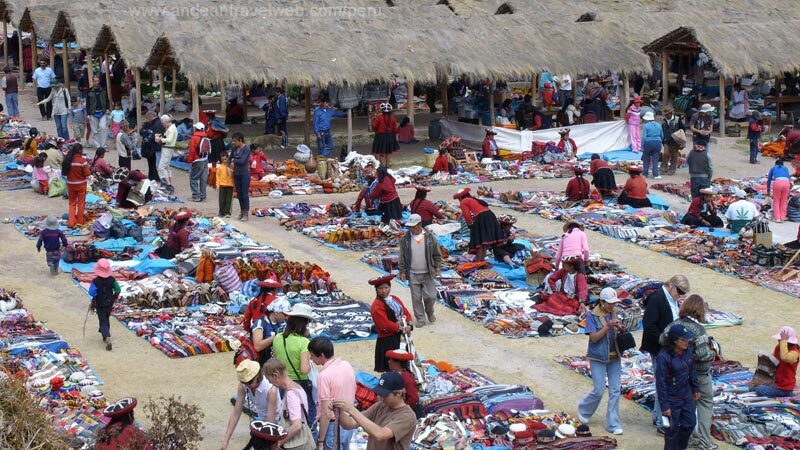 Its major claim to tourism is its colourful Sunday market which is much less tourist-orientated than the market at Pisac. The village mainly comprises mud brick (adobe) houses, and locals still go about their business in traditional dress. The village may have been an important town in Inca times. The most striking remnant of this period is the massive stone wall in the main plaza which has ten trapezoidal niches. The construction of the wall and many other ruins and agricultural terraces (which are still in use) are attributed to Inca Tupac Yupanqui who possibly used Chinchero as a kind of country resort. In the main plaza an adobe colonial church, dating from the early seventeenth century, has been built upon the foundations of an Inca temple or palace. The ceiling and walls are covered in beautiful floral and religious designs. The church is open on Sundays for mass. Half an hour's walk from the village brings you to Lake Piuri which once fed Cusco with water. It takes about 3 hours to walk around the lake passing through small picturesque villages. 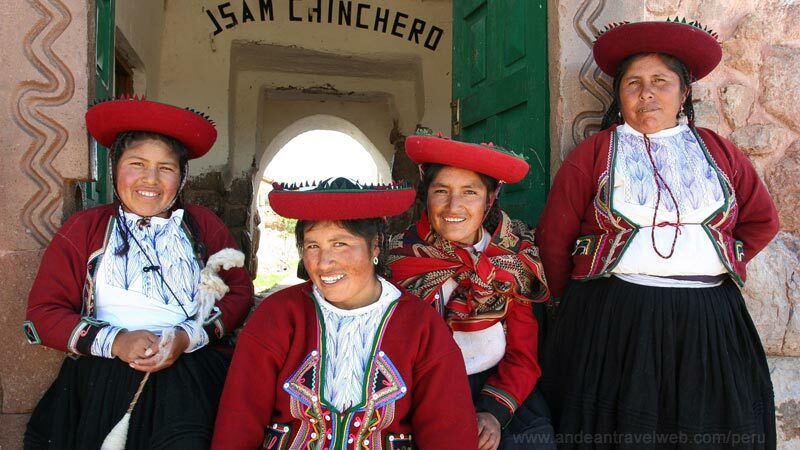 There are no tourist hotels in Chinchero but there are a couple of very basic hostals. 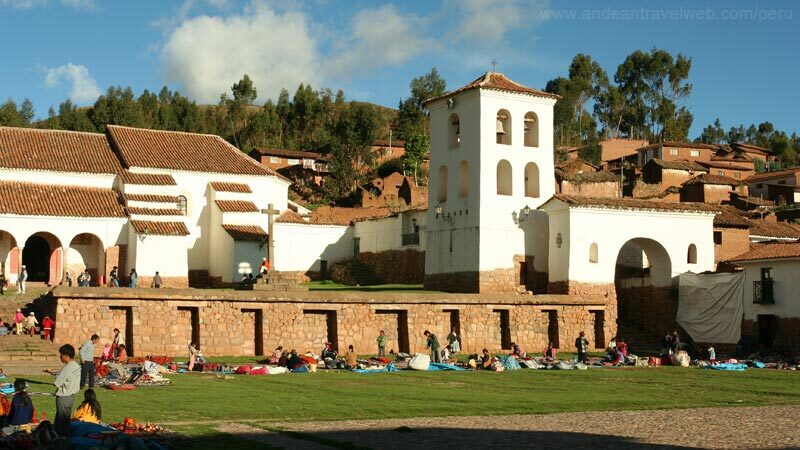 Entrance to the main plaza and ruins is included in the Cusco Tourist Ticket (Boleto Turistico) which costs 130 Peruvian Soles and is valid for 10 days (although you can enter each site just once). The ticket is best bought in Cusco but it is also on sale at at the government check point at the bottom of the hill leading up to the plaza. If you don't want to buy the complete ticket you can buy a partial ticket which costs 70 Peruvian Soles and is valid for 2 days allowing entry to Pisac, Ollantaytambo, Chinchero & Moray. There is no entrance fee to the Sunday morning market which is held at the bottom of the hill by the main car-park.